We are happy to announce that Mike Gerholdt is joining Red Argyle as Director of Client Engagement! Mike Gerholdt is the founder of ButtonClickAdmin.com, which is one of the top Salesforce blogs (and now, podcast!). As one of the inaugural members to the Salesforce MVP Program, his dedication to the community has been recognized since 2010. His former tenure included managing a 350 seat implementation over 6 years, growing adoption by 1200%. As Red Argyle has grown, we have the desire to build a new practice. We were in need of someone who can be focused on ensuring the continued success and adoption of projects. This success management is what Mike is going to bring to the table. 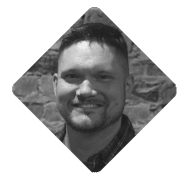 Between crafting world class training, adoption plans, and coaching stakeholder groups to maximize their Salesforce experience, Mike will be ensuring that the long term success of a project is attained and measured. A project is much more than a build and a go-live. The magic happens months after go-live, and we’re going to make sure our customers get the benefit of this. In addition to project and client involvement, we’re excited to begin our quest to make Red Argyle’s blog truly world class. Between Mike’s astuteness, consistency, and creativity, we can’t wait to have his insights contributing to our blog. You can be sure that we’ll be bringing some great content to the table both from Mike and also the rest of our talented team. This truly is an exciting announcement for us to make and a very exciting time for Red Argyle, our customers, and the Salesforce community. We are committed to being the best, and one step to getting us there is to have the best people on our team. Please join me in welcoming Mike, and let’s go get AWESOME!